I guess you can say, home building is in my blood. My father worked in the construction trades for over 47 years. 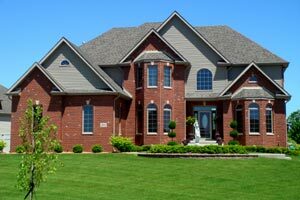 He owned a well respected and prominent custom home business know as Lantz Builders for over 30 years. During that time, he owned the best reputation in the area. I was only ten years old when I started working for him on weekends and holidays. I knew at that early age that the construction field was my destiny. I continued to work for him building custom homes through my teenage years and even designed several homes by the age of 17. I learned at an early age the importance of quality and high standards. I knew someday that I wanted to carry that outstanding reputation that he had worked so hard to achieve. For the next five years, I continued to work for my dad while attending Purdue University. In 1985, I graduated from Purdue University with a Bachelors Degree in Civil Engineering Technology and an Associates Degree in Construction Engineering Technology. I also obtained an extensive background in Architectural Drafting and Design along with Subdivision Planning and Engineering. I continued to work in the family business for two more years and in 1987, at the age of 22, I left to create my own company called Homes by Brian. Over the next 27 years, I have had the pleasure of building many beautiful custom homes while meeting many interesting people. Throughout the years, I continue to live in the same subdivisions with over thirty different customers that I have built for. 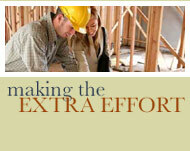 I have had many repeat customers including one pair of family members that I have built four separate homes for. 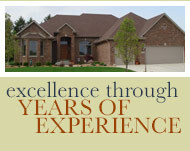 Today, I continue to enjoy building custom homes and I treat every home as if it were my own. I make it a point to establish a relationship between builder and customer that helps the customer feel comfortable during construction. Nothing is more important then being able to get your questions answered and deal directly with the builder you are entrusting to bring your home to life. To me, its always been more than just building your home, its about building your trust too.